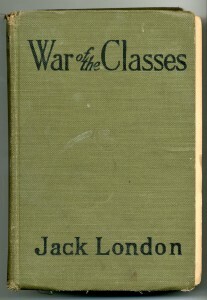 Jack London’s War of the Classes which is held in Ryerson University’s Children’s Literature Archive was published in 1905 by M. A. Donohue in both New York and Chicago. This set of essays discusses the urgency to dismantle the capitalist government in America and replace it with a socialist one, as the current government was not providing for its people. It is thus unusual that his essays are considered children’s literature, since they are highly opinionated, and do not abide by the conventional style of children stories of the time. During the 1900s children stories were meant to entertain the readers, as they were taught morals through adventure. London followed this style quite closely which therefore led to his popularity, and his title of the first millionaire author in America (McAleer 1). Despite London’s popularity and income he was not satisfied writing for children, and attempted to market for adults as well. It can therefore be established that London’s War of the Classes was not initially advertised for children, as it does not adhere to the norm of story-telling. If London’s essays were not originally meant for a young audience one could assume that his writing was too radical, as the adult audience may have not been prepared for his debasing of a capitalist lifestyle. 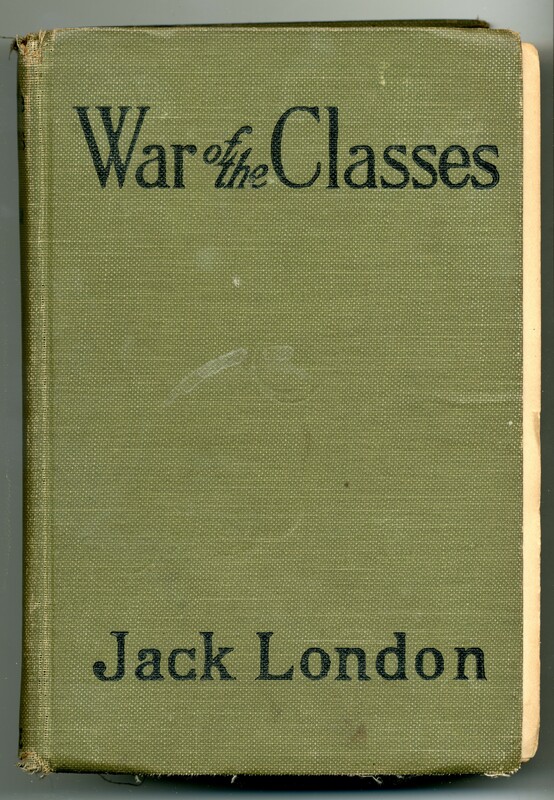 Jack London’s work of essays establishes why he became a socialist, and how it would ultimately correct the turbulence present in America. His work is therefore controversial unto itself, as his audience seems to be those who are comfortable in their capitalist state. This is evident as poor children and adults were less well read due to the rampant inequalities which were present during the 19th and early 20th century (Vinovskis 313). London emphasizes the conflict that is apparent between the employee and the employer, as it was the employer’s interest to reject the needs of the worker. He accomplishes this through terms such as the tramp and the scab. He describes the tramp as someone affected by the lack of employment opportunities, and is therefore trapped in a perpetual cycle. London claims that the term scab is a worker who works harder than their co-workers but is still paid the same, or even less wage. London describes the consequences of becoming a scab, as they are never given the opportunity to advance in society. It is in the chapter “The Question of the Maximum” where he establishes that every social movement will have its peak and downfall, and that socialism will be the most suitable replacement for the capitalist system. London therefore diminishes his credibility as an adult author in America, as his text does not appeal to their government. Once “The Question of the Maximum” comes to an end London establishes that his text was too radical for his audience. He claims that the text was originally written in 1898 but was rejected as the editor maintained that it was “too radical [in] nature, forfeited the sum paid for it, and did not publish it. Nor, offered far and wide, could any other editor of bourgeois periodicals be found who was rash enough to publish it” (London). During London’s lifetime there were social advances for the lower class population, which is evident through the persistence to create a ubiquitous education system. This was usually justified in order to protect the American society rather than helping the lower class economically (Vinovskis 317). Despite this, public schools became more common and adult illiteracy declined. By 1860 every child in Massachusetts, including those from the middle class were able to acquire some sort of education (Vinovskis 323). Although there were noticeable advances, there has been argument that public schools were specifically designed to propel the existing inequalities and to perpetuate the capitalist economy, as middle class children were given more attention than poor students in such classrooms. Different states approached the topic of education in various ways, as some only offered private high school education. As a result, one could realize that high schools were not designed for lower class children to acquire an education. There is argument that this was accomplished in order to perpetuate the inequalities between the classes, because it was assumed that the lower class would not share the same values and goals as the rich (Vinovskis 327). The class war London discusses is researched by John Martin, who claims that the upper class did not value the poor, thus making a class war inevitable (512). He also asserts that concerns of the working class did not make it into congress, as there were few people willing to represent them (Martin 520). As a result, the issues had to be discussed through bills which were not usually acknowledged by party members. The only way to escape this war was through class consciousness, which is the when the working class people are aware of their position in society (Martin 513). Unfortunately this also did not diminish the discrepancies between the classes, as violence erupted between the classes in Colarado, Idaho, and San Francisco (Martin 515). This is the war London is facing, and the context of his essays. London wrote most of his children stories between 1899 and 1907, and then later began to write for an older audience (Ward 92). In America London was incredibly famous for his children stories such as The Call of the Wind, The Sea-Wolf, and Martin Eden (Ward 92), as they abided by the norm of children stories during the time period. The guidelines of children’s stories are described by Mary Mapes Dodge, the editor for St. Nicholas Magazine, as she claims that children’s literature should entertain throughout the story (Ward 93). This illuminates the presence of the popular script of the hero and heroines who were good children with minor faults but also virtues. The most common plots were those where a child learned a lesson or saved the day, a theme which is not depicted in War of the Classes. London’s work of essays is further separated from the children literature genre which is highlighted by Dodge Magazine, as it distinguishes the reading material of adults and children: adults read informative periodicals, while children craved stories that were pleasurable (Ward 93). London began writing for children because he was seeking a market for his work early in his career, which was given to him by the children’s magazines such as The Companion, St, Nicholas, and Holiday (Ward 92). Despite London’s aforementioned popularity, he did not think highly of his role as a children’s writer, but continued due to the money it granted him (Ward 93). It can therefore be extrapolated that London’s work of essays was not originally meant for children, as his stories rarely deviated from the norm. London’s work is further separated from the typical style of children’s literature due to its total lack of illustrations throughout the work of essays. Instead, these images are replaced with statistics and tables which establish the discrepancies between upper and lower classes. War of the Classes thus resembles Dodge’s description of adult magazine content, as it is informative rather than entertaining. What is curious about London’s War of the Classes is the lack of articles regarding its reception, especially because his children stories were highly revered. Unlike his popular stories, his essays were difficult to research as I could find very few articles which explicitly mentioned the essays by name. One could therefore establish through the lack of reception and the aforementioned difficulty to publish the essays, that his work was too radical for his audience, thus diminishing its popularity. This is also clear through a newspaper article in the New York Times which was written in 1906, a year after London’s War of the Classes was available. While the article does not explicitly mention London’s essays, it portrays him in a radical manner due to the way he promotes his socialist ideologies. This is evident as the article references Yale professors who were anxious from his speech which expressed his opinion to deconstruct the bourgeois society (“Class War” 8). Unlike the above article, London’s work of essays is explicitly mentioned in an article written in Vogue Magazine. In the article London is described as an acclaimed author for his classic children stories. It then goes on to explain his set of essays, and how it is an intriguing approach to society while also illuminating the holes in his argument. What is curious is how the column confesses that London is “economically […] rather shallow” (Harrison 790), as if to belittle his authority in the discussion of economics. In doing so, the article immediately allows their reader to negate London’s ideas. What is also significant is that Vogue reviewed his essays, a magazine which was meant for the elites in society (Haye 129). One could therefore establish that London’s book was not meant for children, but instead for the elite individuals who frequented Vogue magazine; readers who were comfortable with their capitalist lifestyle. As already mentioned London was an incredibly famous writer in America due to his children stories. It is therefore curious that London complains about his income, which is evident in letters that he sends to Winston Churchill, as he requests to discover the rates Churchill receives for English and American magazines. One may consider this letter to be odd, as in 1909 his income from royalties was about $75000 (McAleer 4). London’s popularity as a children’s writer swiftly provided him with a significant sum of money. It can therefore be understood that London wanted his text to make the most amount of money as possible, which further separates the notion of War of the Classes from children’s literature. If his goal was to make money, London would not write a set of essays for children that was so dissimilar from what they were accustomed to. The ideological war that London reflects on in War of the Classes blatantly objects to the capitalist government in America by maintaining that it perpetuates rampant inequalities for the working class. It is thus unusual that London’s work is held at the Children Literature Archive, as his writing does not resemble the popular motifs which are commonly found in his children stories. The lack of articles regarding War of the Classes reception is thus understandable, as his work was too radical which was why it was not immediately published. One could assume that his writing was intended for a sophisticated upper class demographic, as he was referenced by both Yale professors and Vogue magazine, which promoted an elitist lifestyle. It is significant to note that money was incredibly essential for London, as it seems as though he is consistently looking for ways to acquire more. This also debunks the idea that his work is for children, as he wrote in a way that would compel his audience, as it promised him popularity and wealth. The War of the Classes is therefore a work of essays intended for adults, as it was opinionated and informative as opposed to entertaining. 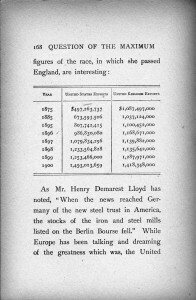 “Class War.” New York Times 1 Feb. 1906: 8. ProQuest. Web. 26 Feb. 2014. Harrison, Marie. “What They Read: War of the Classes.” Rev. of War of the Classes. Vogue May-June 1905: 790. ProQuest. Web. 26 Feb. 2014. Haye, Amy De La. “Vogue and the V&A Vitrine.” Fashion Theory: The Journal of Dress, Body & Culture 10.1 (2006): 127-51. Academic Search Premier. Web. 23 Mar. 2014. London, Jack. War of the Classes. Chicago/New York: M. A. Donohue, 1912. Print. Children’s Literature Archive: Ryerson University. Martin, John. 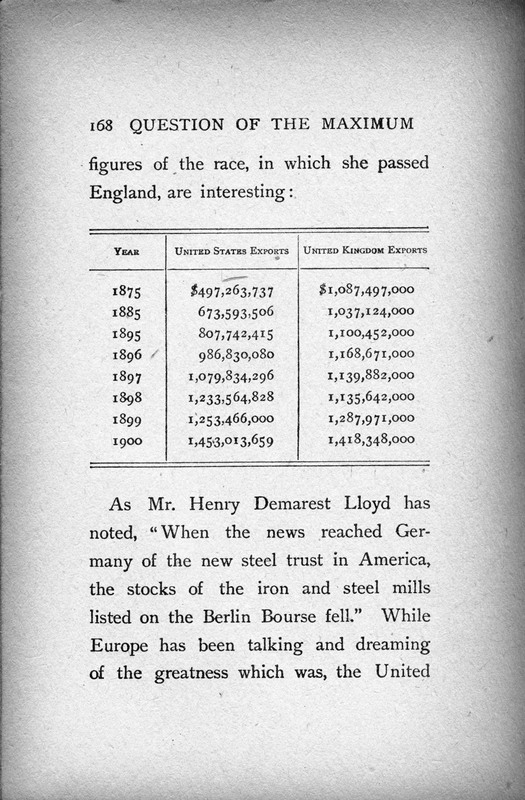 “Socialism and the Class War.” The Quarterly Journal of Economics 23.3 (1909): 512-27. JSTOR. Web. 26 Feb. 2014. Mcaleer, Joseph. “Jack London’s London Publisher.” Studies in American Naturalism 6.1 (2011): 1-24. Project Muse. Web. 26 Feb. 2014. Titus, Warren I., and Jack London. “Two Unpublished Letters of Jack London.” California Historical Society Quarterly 39.4 (1960): 309-10. Jstor. Web. 26 Feb. 2014. Vinovskis, M. A. “Schooling and Poor Children in 19th-Century America.” American Behavioral Scientist 35.3 (1992): 313-31. Scholars Portal. Web. 26 Feb. 2014. Ward, Susan. “Jack London as a Children’s Writer.” Children’s Literature 5.1 (1976): 92-103. Project Muse. Web. 26 Feb. 2014.